If you love high end accessories, you’re going to want to shop at RueLaLa today. You can get some fantastic deals on gorgeous jewelry plus Hermès and Louis Vuitton items and more! Treat yourself to new jewelry or grab some Christmas gifts at a discount when you shop The BIG Jewelry Sale. 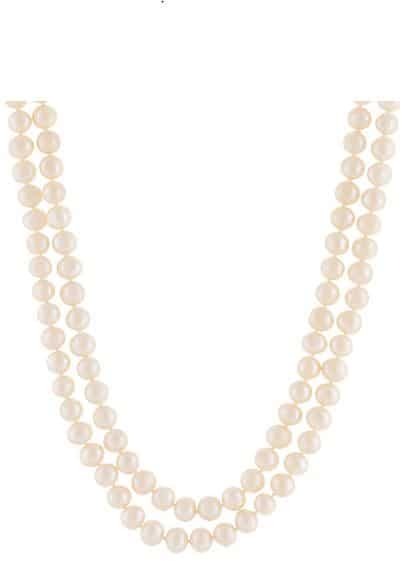 If you’ve been wanting a pearl necklace, this Splendid Pearls 7-7.5mm Pearl 72in Endless Necklace is a steal at $70 (reg. $399). I love jewelry that sparkles, and I really want this Genevive 14K Rose Gold Over Silver CZ Bracelet. At just $60 (reg. $232), it’s a fashionable and affordable gift idea! How many of you are Louis Vuitton collectors? 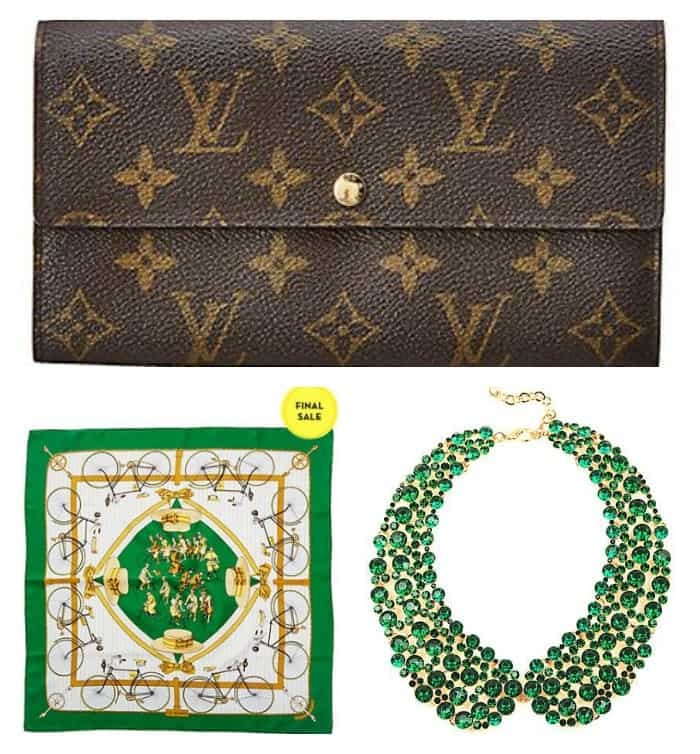 You can get new Louis Vuitton items plus accessories from other brands during the Vintage vs. Vintage-Inspired Extras: Excellent Choice sale. 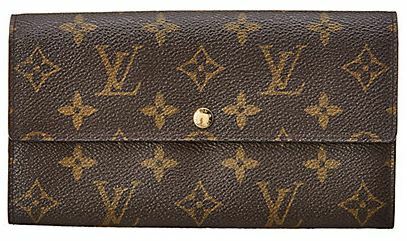 If you’ve been wanting a new wallet, you can get this Louis Vuitton Monogram Canvas Porte-Monnaie Credit Wallet for $500. 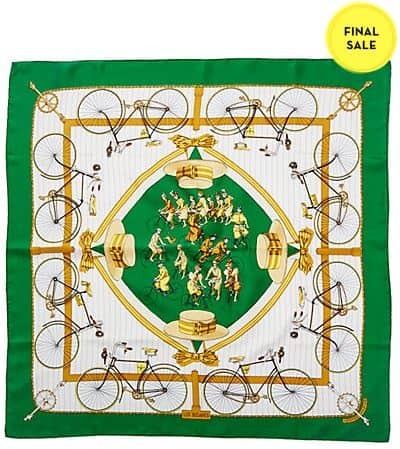 Scarves are the perfect accessory, and you’re going to want this gorgeous Hermès “Les Becanes” by Hugo Grygkar Silk Scarf in your life. Get this for $350. Need a way to hold your jewelry on trips? 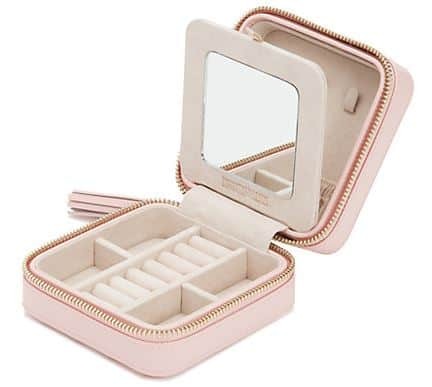 This WOLF Caroline Zip Leather Jewelry Case is jst what you need. This is on sale for $30 (reg. $65). Get other WOLF items on sale here. And, get some gorgeous new jewelry during the $29.99 Jewelry Gifts sale. 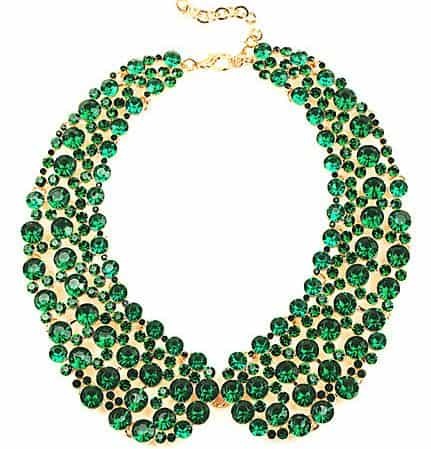 I just love this Eye Candy Los Angeles Crystal Collar Statement Necklace?? This is another great gift idea, and you can’t beat getting it for $30 (reg. $70).